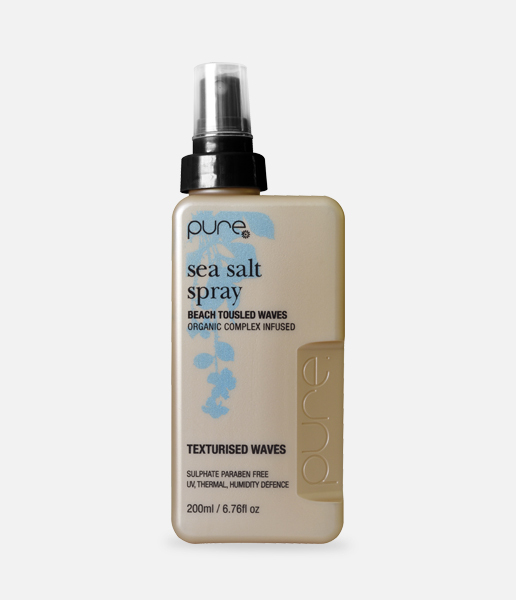 Pure sea salt spray styling treatment; designs beach textured hair in all hair types. Sulphate and paraben free. •	Creates messy undone styles adding volume and texture. •	Protects against UVA, UVB and UV damage from the sun. •	Exclusive Pure complex™ (100% organic extracts) reduces environmental damage to hair and scalp.